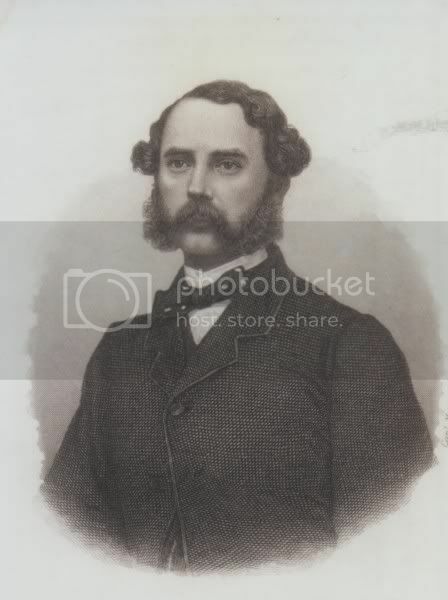 A thread to discuss the lesser known Ducal families and branches of Schleswig-Holstein-Sonderburg. The Duchy of Schleswig-Holstein-Sonderburg, founded by Duke Hans The Younger (1545-1622), son of King Christian III of Denmark. When Hans The Younger died his duchy was divided in to five small Duchies, creating the five main lines of Sonderburg. 1. Duchy of Schleswig-Holstein-Sonderburg (with many cadet branches, including the Augustenburg and Beck lines). 3. Duchy of Schleswig-Holstein-Sonderburg-Glücksburg (Elder Line). 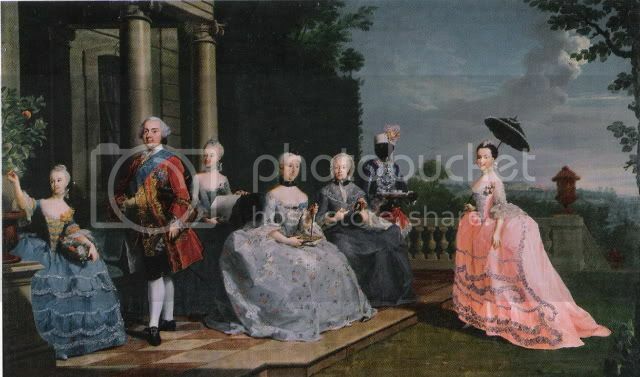 The last Duke of Schleswig-Holstein-Sonderburg-Plön, Duke Friedrich Carl with his family in 1759. From left; his youngest daughter, Princess Louise Albertine, Princess of Anhalt-Bernburg, Duke Friedrich Carl, his oldest daughter, Princess Friederike Sophie, Countess of Erbach-Schönberg, his wife Duchess Christine, born Reventlow, his mother Dorothea Christine, born Aichelberg, and finally his second daughter, Princess Charlotte Amalie, Duchess of Schleswig-Holstein-Sonderburg-Augustenburg. Already love this thread :-) I was looking at almost all lines of this family and I have one question about their religion...the sub-lines of Wiesenburg and Plön-Rethwisch seem to have made marriages only with Catholic families while the other branches did not...were members of this line Catholic and if they were why they changed religion...or if they did not,why marriages only with Catholic noble families? Yes, a few lines were Catholic. They converted because they were in the Emperor's service and/or in order to ingratiate themselves with the Emperor, I think. Well,that makes sense then... were there any confrontations between all these lines? No, I don't think that there were any major confrontations between them, but they could argue over inheritance issues with each other and with the Danish Kings. Politically all the Sonderburg lines were insignificant, and they were subordinates to the King of Denmark and the Duke of Schleswig-Holstein-Gottorp. So,was their treatment special because of that?Were something in between sovereign and mediatized? Responding by recollection to your question; No it's more complex than that. The five Duchies status were "lands providing income to the Dukes", like mayor noble estates. The Dukes however had some rights in their Duchies which made them "Principalities". 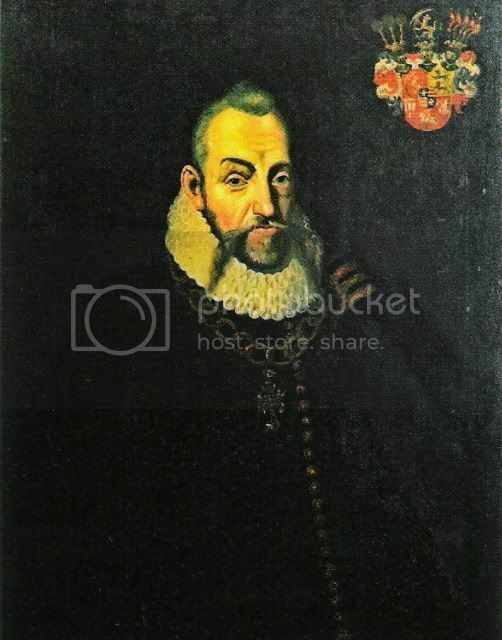 But they were not (shared) sovereign Dukes of Schleswig and Holstein like the King of Denmark and the Duke of Schleswig-Holstein-Gottorp, so the Dukes were subjects to them and their decisions on a variety of matters. In the legal sence there was ONE Duchy of Schleswig and ONE Duchy of Holstein, the first a Danish land and the latter a German land. Seems very complicated for them...being "the" Duke in the land that someone else rules...in terms of marriage status it seems all branches(more or less) were treated "equally"...Rethwisch line made just marriages to Merode countesses...that is interesting! The line of Schleswig-Holstein-Sonderburg-Plön-Rethwisch served the Holy German Emperor and later under the Spanish King in Belgium. They became Catholics as mentioned and the first Duke, joachim Ernst became a "Grande" and got the order of the "Golden Fleece." He and his son married Belgian noble women from the Merode family, which were a famous and prominent family. As catholics however, they were barred from inheriting the Duchy of Plön when the main line died out. So,that was the case...I often wanted to know why Merode?I know that they are old and prominent noble family,but didn't know that Rethwisch line served in Belgium...I assume Merode countesses were rich enough...do you know maybe which of these lines were the richest and which among the poorest? The richest in land and income was the Schleswig-Holstein-Sonderburg-Plön-line. All the Sonderburg lines had debts since they all spend more than their small Duchies could provide them in income. The Duchy of Schleswig-Holstein-Sonderburg (the second creation), went bankrupt and was dissolved, and then taken over by the Danish King. In later years a cadet branch of S-H-Sonderburg, the S-H-S-Augustenburg line was the richest, but they on the other hand did not have a Duchy attached to their line. No need to apologize for your questions Marc, that's what the thread is all about. Speaking of the main five lines. No, they did not get any more land through marriages, but sometimes they would buy or inherit large estates from each other. And only within Schleswig-Holstein. Cadet branches not having a Duchy would buy estates outside of Schleswig-Holstein, such as the Beck (later Younger Glücksburg), Franzhagen and Wiesenburg lines. Rethwisch was inherited by the Duke of Plön and Wiesenburg Castle and Estate was sold to the Elector of Saxony.